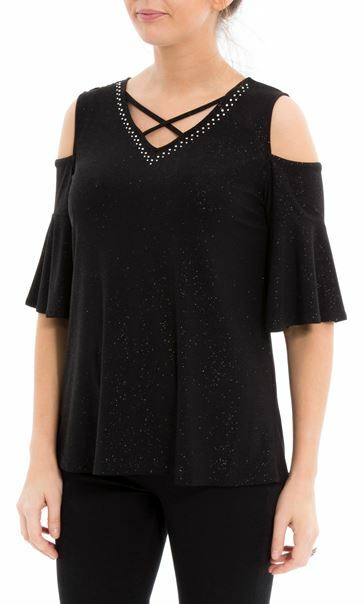 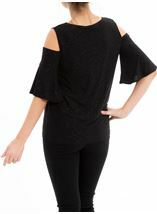 Gorgeous black glitter cold shoulder top that will be sure to turn heads. 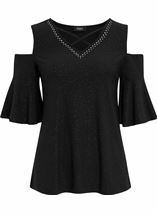 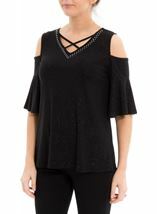 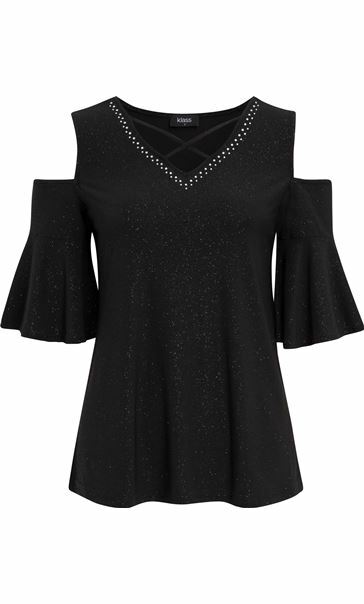 Designed in a stretch fabric with frill detailing to the elbow length sleeves and embellishment to the criss cross v neckline, perfect for the party season. 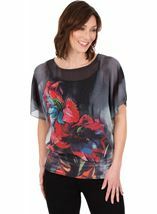 Back length 66cms.